Remember these HSTs on the design wall? Well they were finally sewn together, then cut back apart with some easy curves. 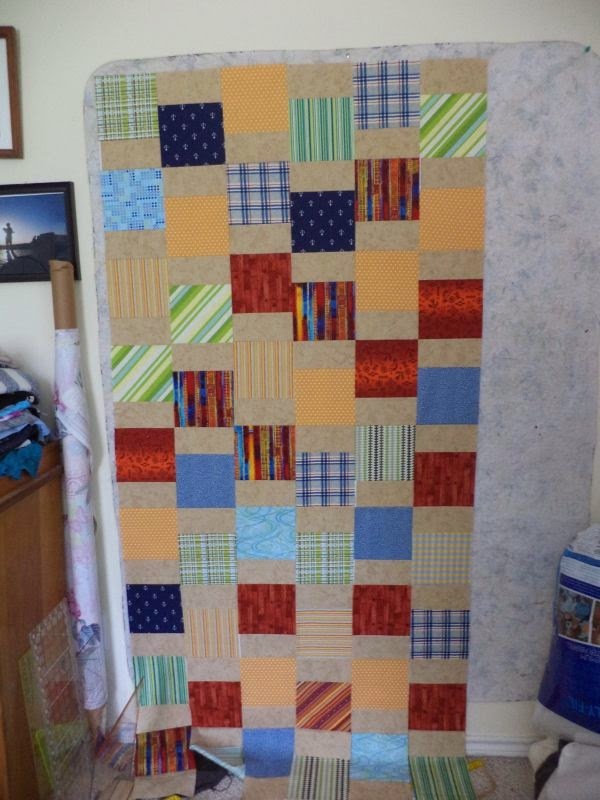 This quilt is also back on the wall. I need to get the second half of it sewn together. I showed what I have so far to its future owner the other night and he LOVED it, so maybe that will give me the motivation to need to get done! Finally I've been working on more batik scraps, this time in a pretty girly palette. 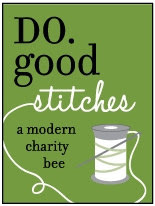 Linking up to WIP Wednesday. What are you working on this week? 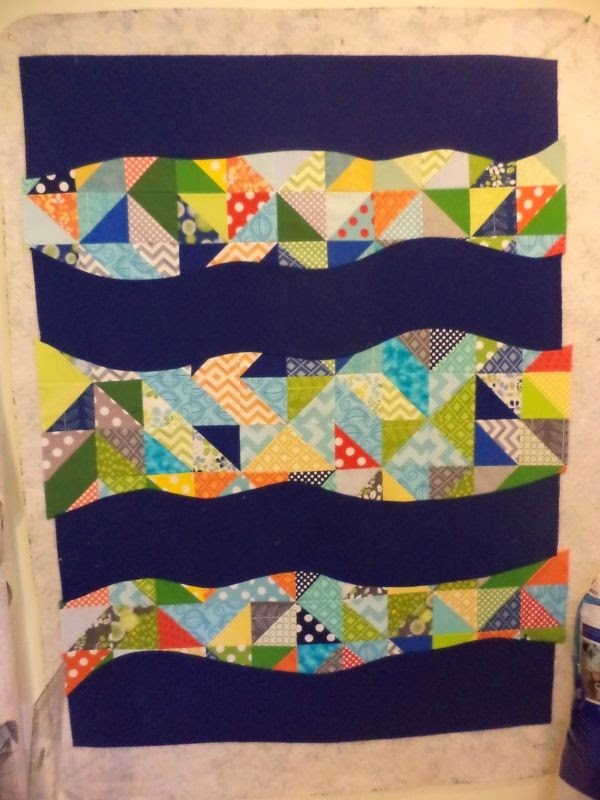 Love the curves in your HST quilt! Wow- you've been busy. I love them all. 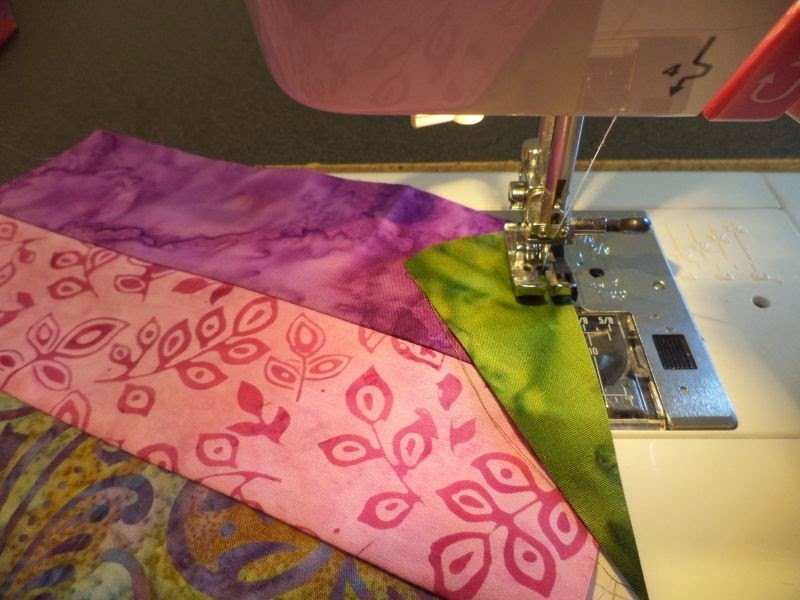 HSTs and Easy Curves make a great combination!